Smart technology client verification solution provider Know Your Customer is launching its new AML / KYC product suite at Ireland’s premier fintech conference,MonyConf. KYC provides digital solutions which quickly and accurately identify and verify companies and individuals prior to client on-boarding. The comprehensive client identity verification solutions from KYC are making compliance officers’ lives easier by helping with compliance, risk and client on-boarding functions, ensuring companies can accurately and confidently conduct their KYC and anti-money laundering (AML) functions. KYC will be demonstrating its solutions on stand E127. With financial crime more prevalent than ever, and compliance personnel facing ever-more-demanding workloads, client on-boarding times are increasing; compliance teams need technological tools to quickly and reliably automate many processes which are still being done manually. Comprehensive AML / KYC processes are essential not just for large corporations but for businesses of any size which could be exploited by money launderers or fall foul of legislation. KYC’s digital solutions maximise compliance teams’ efficiency and capacity, meaning companies are future-proofed for scale, without increasing costs, and importantly, bringing onboarding times of corporate clients down from three weeks, to just ONE day! Know Your Customers’ KYC/AML screening, client verification and onboarding solutions are leading the way in the fight against global financial crime, and the new product suite is making KYC’s digital solutions accessible to businesses of all sizes; from SMEs to large corporates. After a busy couple of months on the road for the Know Your Customer team (who have recently attended conferences in Frankfurt, London, Hong Kong, Paris and Amsterdam), they are now looking forward to showcasing the company’s digital on-boarding solutions in their ‘home’ market. Although KYC has offices in Hong Kong, Shanghai and Dublin, the Dublin office is the largest, and the majority of the management team are Irish. KYC is proud to be a part of the developing ‘RegTech’ ecosystem in Dublin. For many years attention has been focused on the strengths of Ireland’s globally-recognised Financial Services Centre (IFSC) which also has an impressive track record in the fintech space, with many Irish fintech exports reaching out into the world. However, in the past few years, a ‘RegTech’ ecosystem has emerged, and Know Your Customer is pleased to be a part of this new wave of RegTech solutions providers. automate many processes which previously had be done manually, making onboarding less costly and less time consuming. At Know Your Customer, we believe that businesses of all sizes, and across industries, must have access to the tools they need to defend themselves against criminals and the devastating effects of money laundering and financial crime. We are very proud to launch this new product suite, creating accessibility and flexibility within this crucial market”. Know Your Customer will be on stand E127. If you are attending, please contact mmaspero(at)knowyourcustomer.com directly to set up a meeting. 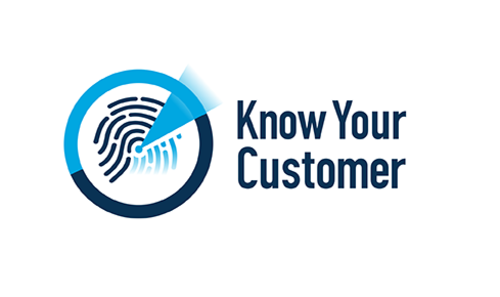 Know Your Customer (KYC) provides digital solutions that quickly and accurately identify and verify companies and individuals prior to client on-boarding. Our easy-to-use solutions offer quick ultimate Beneficial Owner identification, document collection, Digital ID verification and automated anti-money laundering checks in multiple languages across multiple jurisdictions. This comprehensive client identity verification solution from KYC helps with compliance, risk and client on-boarding functions, ensuring companies can accurately and confidently conduct their KYC and AML functions. • Identify by KYC delivers the experience customers deserve while ensuring 100% KYC and AML compliance for businesses. • Corporate Validate by KYC brings corporate KYC into the 21st century. Know Your Customer’s fully integrated KYC/AML solution automates the KYC process for corporate entities without taking control from your compliance staff. This press release was distributed by ResponseSource Press Release Wire on behalf of Know Your Customer in the following categories: Business & Finance, Public Sector, Third Sector & Legal, Computing & Telecoms, for more information visit https://pressreleasewire.responsesource.com/about.